Organizations across the world have benefitted from the use of Enterprise Resource Planning (ERP) solutions for more than 50 years. They have taken advantage of business practice standardization, system integration, and efficient reporting capabilities. For many reasons including competing priorities, limited resources, and increased accountability, more and more school districts are also moving in that same direction and implementing ERP systems in their organizations. Enterprise Resource Planning supports best practices for most major business processes uniting information across the enterprise including areas such as finance, budgeting, payroll, human resources, and procurement. The use of business intelligence tools brings data together to provide information for good decision making and reporting to the many stakeholders to which the school districts respond. In order to provide the necessary resources to a K-12 education system, an ERP system combines the above requirements in an integrated software program so that the sharing of information across the organization is made possible. The use of business intelligence tools enables the integration of other systems, such as a student information system, to be incorporated in the information for sound decision making and reporting. Due to the complexity of running an ERP system and the challenge that the education community faces in paying for experienced ERP technical staff, making a move to the Cloud or a hosted solution becomes highly desirable. Utilizing a service to manage their system allows school districts to utilize their technology staff towards educational needs rather than address the daily non-student facing business processes. Since K-12 education has heavy governmental oversight, complex reporting requirements, and heavy stakeholder involvement, engaging with a vendor who has a proven history of successful ERP implementations in a K-12 setting is highly beneficial. Contracting with a vendor that has the knowledge and experience of these unique requirements will bring the support for good decision making to the school district staff that will be instrumental in implementing the ERP. The timeline for an ERP implementation will vary depending on size and scope. However, preparing for an implementation does not vary, greatly. It requires the understanding that there is business process change and therefore, the support of the Superintendent and Cabinet level leadership is imperative. The clear support of the Superintendent and Cabinet will set the tone for the district staff to take ownership of the project to support the success of the effort. Challenge your organization and consider how you can leverage modern business applications and specialized solution providers to better support your resources. Linda Visnick has 30 years’ experience in the business of education. 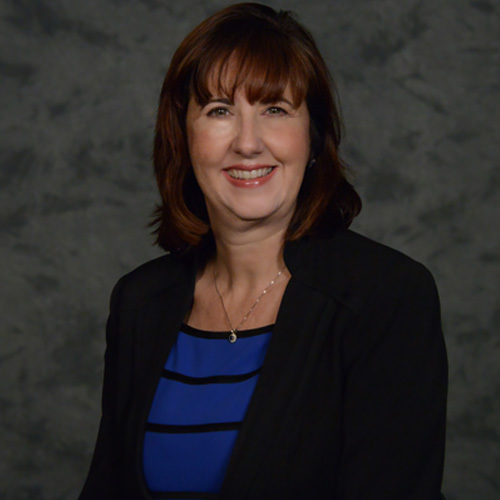 She has led school districts at the executive level working in various positions including Assistant Superintendent, Business Services and Executive Director at the county office of education level. She has been responsible for all aspects of business during her tenure as well as fiscal oversight and the implementation of a new business administrative system touching 55 local educational agencies, 350,000 students, and 72,000 employees. She brings experience working with school boards, superintendents, community groups, unions, and city councils. In her role as Director, Education Sector she is responsible for providing support to current and future educational clients; build partnerships with educational organizations; and work with executive leadership to review specific areas of need.